The town's name honors San Floriano, a Roman legionary and martyr, who died by orders of the Lombards for spreading the Christian faith in Friuli. The second part of the name obviously refers to the area where the land rises. 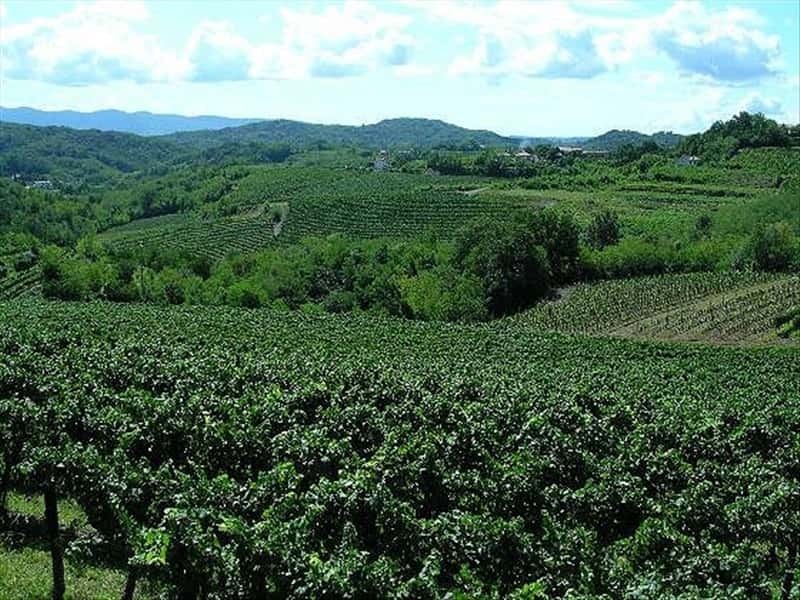 Municipality in the province of Gorizia, is located on the border with Slovenia, in a hilltop location, which provides a particularly favorable ideal exposure. The economy is mainly based on the production of fine wines, appreciated all over the world, and the cultivation of cherries. Also worth of mention: its gourmet products, its historical itineraries and cultural attractions. The area was, without doubt, inhabited since prehistoric times and endured colonization by the Romans, but the first document in which San Floriano is reported, dates back to 1170. These territories were disputed for more than a century, during the period between the XVI and the XVII centuries, between the Serenissima Republic of Venice and Austria, both with the intent in the control of the Adriatic. In 1616 the Venetians tried to conquer Gradisca, which was another strategic point for the Hapsburg Empire in the territory of Isonzo, and assaulted San Floriano, killing a large number of its inhabitants. During the following years, the troops of Venice occupied the village and turn it into a fortified outpost to defend the eastern borders of the Republic. In 1623 it became part of territories of Austria. During the First World War, St. Floriano was occupied by Italian forces and at the end of the fighting, the castle, which had housed an Italian regiment, was severely damaged. This town web page has been visited 32,694 times.